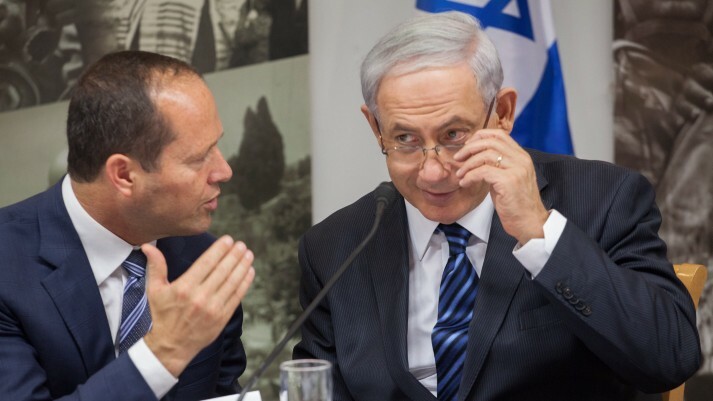 An Israeli man of Arab descent has been jailed 11 years for a plot to assassinate Prime Minister Benjamin Netanyahu and Jerusalem Mayor Nir Barkat. These assassinations were supposed to take place last year on the order of the Syria based terrorist group. Muhammad Jamal Rushed aged 31-years, was arrested in April of 2018, and charged in May with terror offences. He was convicted of crimes such as conspiracy to aid the enemy in wartime, preparing to carry out deadly terror attacks, spying, and conspiracy to commit murder. In addition to Jamal, two others have also been arrested in connection with the crime, however, their identities have not been revealed. Jamal, on the orders of foreign terrorist leaders, was planning to carry out a quite a lot of terror attacks against different targets. He was already collecting intelligence about his targets. Other targets are said to be, US consulate buildings in Jerusalem and delegation of Canadian Security officials. A Shin Bet spokesperson said Jamal received his orders from the Popular Front for the Liberation of Palestine – General Command (PFLP-GC), a Syrian terrorist group which fights alongside Syrian dictator Bashar Assad. Jamal and his two arrested accomplices were contemplating to bring along an additional terrorist from Jordan. Israel has been facing hostility from the Arab world ever since its establishment in 1948. It was subject to boycotts and attempts to its diplomatic isolation. Out of the 21 UN members of the Arab League, 19 do not recognize Israel and do not have diplomatic relations with the state. The exceptions being the bordering countries of Jordan and Egypt. Moreover, 10 members of the Organization of Islamic Cooperation, including Pakistan and North Korea do not maintain relations with Israel. Investigative agencies are always on the lookout for ways to preempt attacks and prevent terrorists and assassins from successfully carrying out their plans. There is a dire need to shift from a reactive to a proactive approach when dealing with matters of tremendous importance, such as the safety of the public and political figures. This shift cannot occur without proper intelligence gathering and screening tools. Unfortunately, DNA, polygraph and fingerprinting are outdated techniques which have limited applications and/or doubtful reliability. To tip the scales, there is a need for modern science to lend a helping hand and provide a versatile and reliable intelligence gathering tool. iCognative is a technology which has been developed by Brainwave Science. The company was founded in 2012, and it developed the ground-breaking iCognative technology with applications in National Security, Counterterrorism, Border Security, Human and Drug Trafficking and Immigration Control. The core belief of the Brainwave Science is to develop a solution which can rid the process of interrogation of torturous methods and human suffering. For many years, there has not been a significant innovation in the field of interrogation and investigation. iCognative is here to bridge that gap. Here is a technology which scientifically identifies if certain specific information is stored in the brain by measuring brainwaves precisely. This is radically different and more advanced than a polygraph test. The polygraph test detects an emotional response, anchored on the belief that people are more stressed while lying. Using a laptop computer and a specialized headset, this test can be administered almost anywhere with minimal training. The test usually lasts about 45 minutes, and is fully computer control, including the presentation of the stimuli, recording of electrical brain activity, and the algorithmic data analysis which determines whether or not information is present. The stimuli may consist of images, words and phrases related to crime. In the case of the assassination plot of the Prime Minister and the Mayor of Jerusalem, 3 men have been arrested. The iCognative test can help the investigators to find out crucial intelligence about the plot and the terrorist groups who ordered the assassinations. Stimuli such as the pictures and names of the members of the Syrian Terrorist group PFLP-GC, Canadian Security Officials, pictures of the US consulate building, etc. The terrorist training, bomb-making training, exposure to radical propaganda and brainwashing can be indicated for all the persons arrested using the iCognative test. In fact, iCognative can help verify the hierarchical and leadership structure within terrorist organizations. If the subject has been inactive for years or is a part of a sleeper cell, iCognative can still detect potential threats. Counter-Terrorism and investigative agencies in Israel must experience iCognative by Brainwave Science first hand and see it in action. It is undoubtedly the tool which can boost the pace of intelligence gathering and bring anti-state actors to their knees.